I have had the opportunity to present workshops for regular classroom teachers and soon-to-be teachers. Usually in these sessions I talk about how to incorporate music into their regular classroom reading and math plans. I give them practical ways to incorporate music while teaching children's literature, working on spelling words and introducing new concepts in math. One of the most frequently asked questions by regular classroom teachers is "What can I do with this box of instruments I have in my closet?" I have heard some scary stories about teachers just sitting the box of instruments on a desk and calling it a "Music Center". Yikes! They didn't even have to tell me what happened next. I knew! CHAOS! Without guidelines, this would turn into noise, not music in milliseconds! I've talked with music teachers that feel the same way. They feel that they SHOULD use the classroom rhythm instruments but just haven' found authentic ways to use them other than keeping the steady beat. I get it. For my first few years I only pulled them out occasionally and hated it. Now? One of my favorite things to do! I love the excitement on my students faces and how engaged they are! 1. Be the meanest teacher in the school. No, really. I have a couple of rules that I repeat every single time we get instruments out. "You get what you get and you don't throw a fit." It doesn't matter what color your rhythm sticks are or if you start with a tambourine or maraca. We are ALL making music together. 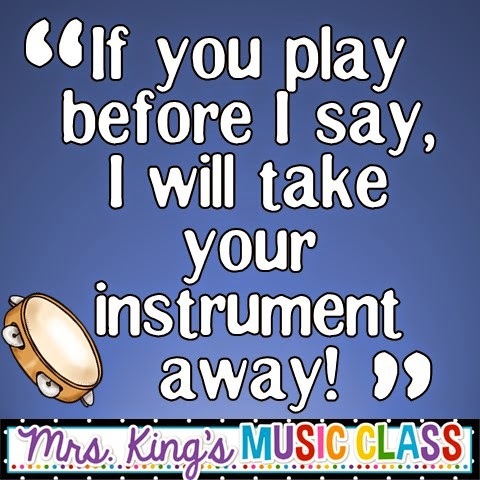 I also say "If you play before I say, I will take your instrument away!" And I do it. First time. Just once. Instruments don't ever "accidentally" play themselves. I follow through. This means that next class period I have a classroom of believers. 2. Choose whole group activities that keep students playing. One of my favorite activities to do with rhythm instruments is to have students read icons for their instrument. I use a 16 block grid to lay out 4 measures of 4 beats. Each of these beat boxes has an instrument in it. This represents a quarter note. I also include quarter rests and eventually barred eighth notes (for two sounds on one beat). 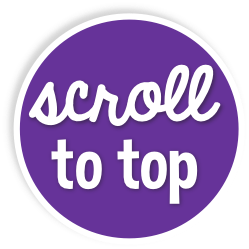 Scroll up to the top of this post to see a picture of this activity taking place. Once we are great readers, I'll play music in the background and have students play the patterns with the music. Since they are in a common meter there are many songs that work. You can find the file I use for this lesson HERE. I use Greg and Steve's "The Freeze" for one of our first beat keeping experiences with instruments. We take turns playing and when the music stops we switch. This helps students identify the instrument that they have in their hand and gives them the opportunity to hear the different timbres of all of the instruments. I also love Hap Palmer's "Tap Your Sticks". Later when we are great at identifying instruments we'll play a round or two of Mystery Instruments. Such fun! 3. Combine rhythm instruments with children's literature. I use rhythm instruments to accompany poetry quite often. Sometime we will play the steady beat as we chant the poem. Other times we will substitute words in the poem for an instrument sound. This is a fun and creative way to get students thinking about how to organize sound. The same thing can happen with children's books. Use the instruments to create sound effects or accompaniments. Students listen closely for their part and get to experience great literature AND music making. Win win! Artie Ameida's Mallet Madness books have tons of great ideas for this kind of activity. Have a plan for how students will get instruments and how they will be put away. I usually call rhythm sticks up by color. "If you have red rhythm sticks, bring them up and put them away." If we are playing several different kinds of instruments I call the noisy tambourines and maracas up first. I think they make noise when kids just LOOK at them!!! By following some of these guidelines I've really come to love putting instruments in the students' hands. Please feel free to share your tips for cutting the rhythm instrument chaos in the comments section. I love the fall! I told my Kindergarten classes this week that it is quite possibly my favorite time I year. I love that chilly nip in the air. I love the beautiful colors as I drive to work. I love all the great activities that I have planned for my classes in October and November! This weekend I'm linking up with others to share some fall favorites. Read all the way to the end to find a freebie for your classroom this fall! It is true. I love a good scarf to wear around my neck, but I love a good scarf to dance with even more! Kindergarteners used the scarves (made from tulle) while pretending to be trees. We planted our feet and let our roots grow deep in the floor and then swayed in the breeze with our colorful "leaves" while listening to Autumn Leaves (from Share the Music series). I always love to watch these young people as they experiment with movement and expression this way. In 3rd grade music we are learning all about the "Star-Spangled Banner" at workstations. Students sing, learn definitions, write poetry, read about Francis Scott Key and more. Usually we do workstations in September closer to the date it was originally composed, but this year we are doing it right now. I love the variety of activities that we do. 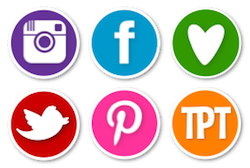 Check out these stations for your classroom. There's a spider on the floor, on the floor. There's a spider on the floor, I can't take it any more. 3. Knee...and he's crawling over me. 4. Tummy...and it really isn't funny. 5. Chest...and he's making me a mess. 6. Neck...and he's making me a wreck. 7. Hair...can you see him climbing there? 8. Arm...I hope he does no harm. 9. Hand...and he's playing in a band. 10. Face....it is such a big disgrace. 11. Back...and I think he' running track. 12. Booty...and I think that he's a cutie. 13. Head...I wish that he were dead. 14. There's a spider on the floor, on the floor.. I love patriotic music so I love taking a few minutes to listening to the music of the armed forces. It is always interesting to see if students can name all five branches of the armed service. Being in land locked Missouri, students can usually name all branches except the Coast Guard. I plan to hang some of these up near my armed forces bulletin board. This bulletin board is actually FIVE bulletin boards. I put about half of them up for each branch of the military. Teachers: Get it here! In Kindergarten we read a poem about pumpkins and discuss steady beat and rhythm (or as I call it in class "the way the words go). In first grade we learn "Pumpkin Patch" and add some partner dancing. Second graders play Pass the Pumpkin. In pass the pumpkin, students listen to a seasonal song with a strong beat and then pass the pumpking to the beat. We start by chanting "1 2 3 pass" until everyone can do it well and then we go a little faster. Fun! 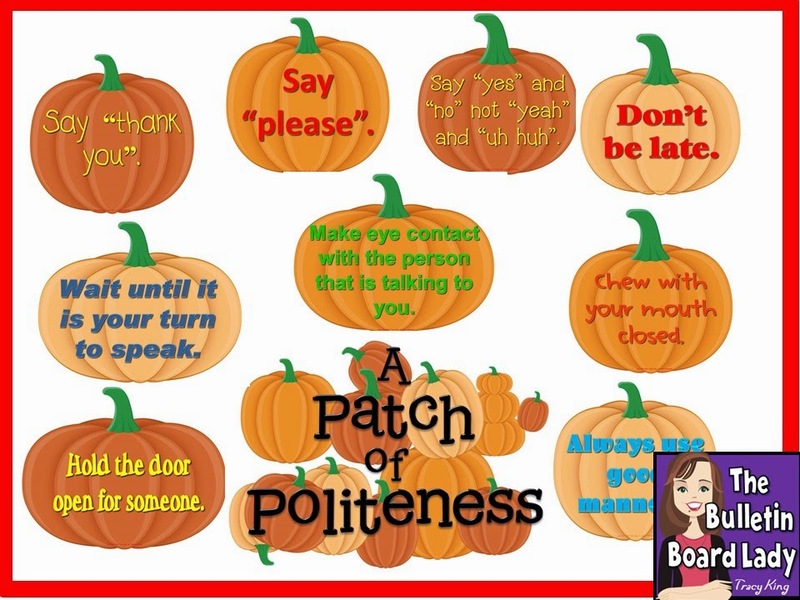 Grab this Patch of Politeness bulletin board freebie for your classroom. Find more activities for fall in my store. 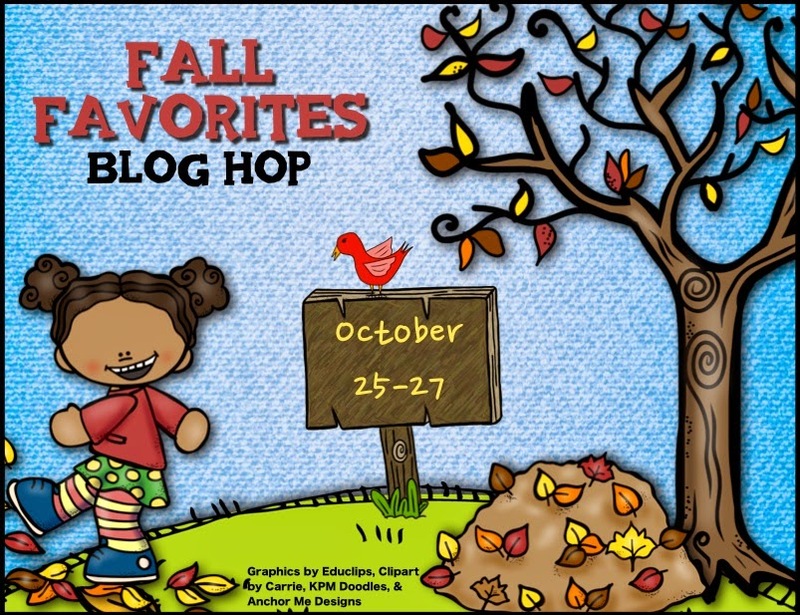 Click HERE to keep hoppin' through the Fall Favorite Blog Hop. Your next stop is Jen Seltzer's blog, An Adventure in Literacy. I used this with some classes this week and they loved it! We talked about one sound to the beat means a quarter note and one picture in each square. After we add barred eighth notes or two sounds on one beat we'll take some time to compose our own. I'll print out little copies of all the body percussion actions and they will place them on the squares in the grid and perform. Quick enough to do in the last ten minutes of class or at a workstation, I really like making connections to reading and writing AND music. 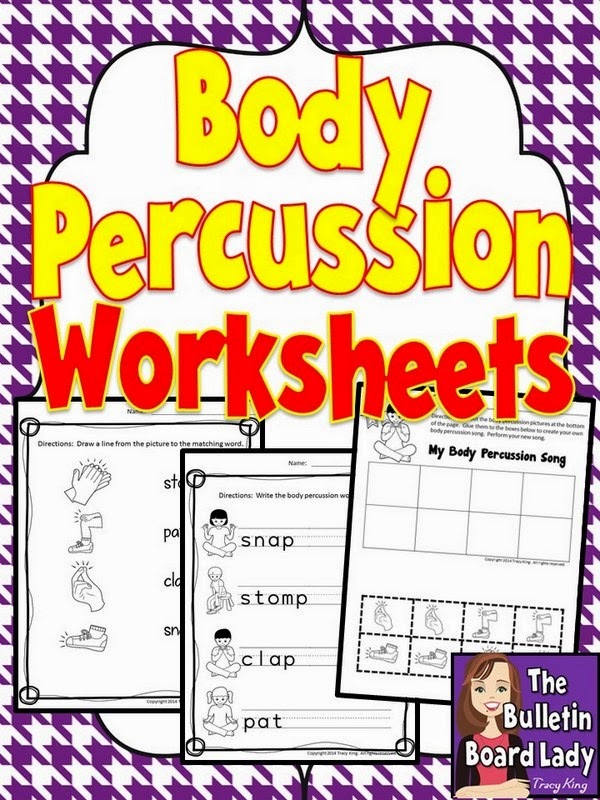 Check out the Body Percussion set HERE. In a few weeks, voters in Missouri will have the opportunity to make their voices heard at the voting booth. On the ballot is Amendment 3. This amendment would require students to be tested in all subjects, change our performance based teacher evaluations to be mostly based on those tests (imagine YOUR job evaluation being based on one test on one day out of the year...what if its a bad day for the kids? UGH!) and will take away local control from the school districts. It's bad for kids, bad for educators and bad for tax payers. So...I'm opposed. :-) Take a look. Have a giggle. Hear the message.